2013 February « CASE CLOSED … what really happened in the 2001 anthrax attacks? Another 3 months have passed. There is no GAO report. There is no indication as to when, or if, a report will ever be issued. This is a disgrace, which more and more looks like a cover-up. Who is afraid of the truth? after they said it would likely be completed. We’re trying to get a reaction and statement from Congressman Holt’s office. 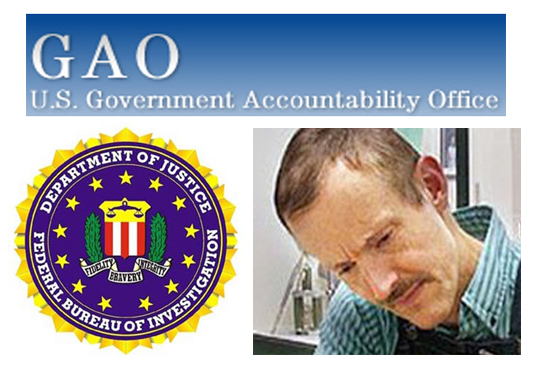 The GAO began its review of the FBI’s investigation of the 2001 anthrax attacks in March 2011. At the time they said a report was expected in September 2011. We are now well past that deadline. DXer believes the longer the GAO takes the better the job they will do. I disagree. I think the longer they take, the more interest will wane, and the more likely there will never be a report, and the whole matter will just fade away. It is abundantly clear, from this blog and from many other sources, that the FBI’s assertion that Dr. Bruce Ivins was the sole perpetrator of the 2001 attacks, or even that he was involved in any way, is not proven by the evidence the FBI has issued in support of their allegations. The NAS, for instance, was clear that the scientific evidence the FBI said proved Ivins was the perpetrator did no such thing. The crime is too serious, the current and future implications too dire, to simply leave the matter with a flawed FBI conclusion. America deserves better. It is time for GAO to speak, at the very least to issue a progress report, indicating what they have looked at, what remains to be reviewed, and when they think they will complete their task. In other words, it is time for the Government Accountability Office to itself be accountable.